Of course, this is not how I always use my machine. Sometimes I get brave and experiment with settings, but when in doubt, I can always reset my machine, back to the original factory pre-set mode. 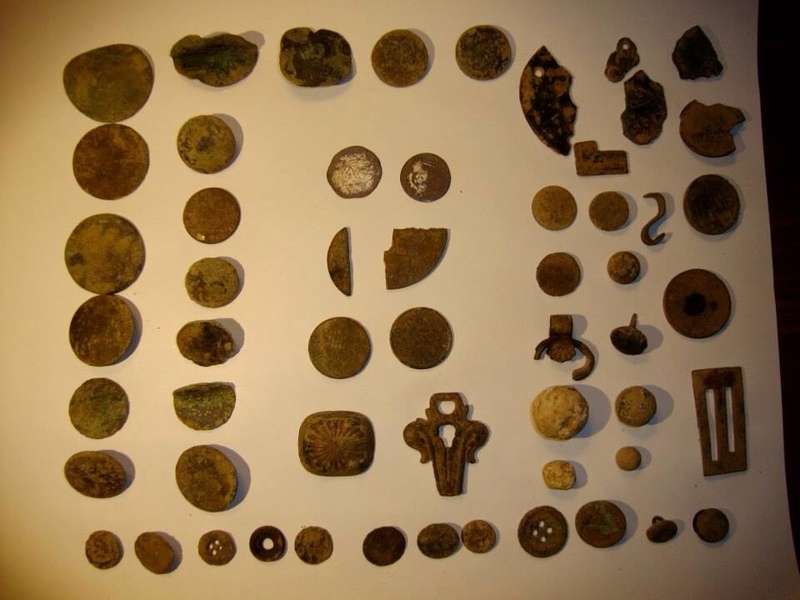 A few years ago, I found out the hard way that I needed to learn to set my machine myself, after I had spent almost an entire day at a hunt in a Long Island, which was producing some amazing finds for everyone except myself. This had me very discouraged and thinking my machine was in need of repair. Toward the end of the day, I met up with a friend and fellow club member and expressed my concern. He was a long time detectorist and E-trac user, and took a look at my machine. To my dismay, he informed me that my settings were all screwed up–I had been hunting in the Wackadoo mode all day! He asked who had set my machine up for me, and I had a major epiphany as I recalled the SOB who had so “helpfully” tweaked my machine for me earlier. But the universe must have been aware of my predicament, and helped me make up for time lost, because after my machine was reset by someone without a hidden agenda, I picked up 2 half reales, 2 shield nickels, a nice silver bit, a large cent, buttons, and many other miscellaneous items, all within an hours time. Lesson learned though–not all folks are out to just have a good time, there are opportunistic folks out there that are just plain competitive, and will helpfully “tweak” your machine to give themselves, not you, an edge. If you don’t know what someone is adjusting, better to do it yourself, or use the preset. So read your manual, then read it again, and again. Experiment with your settings, and when in doubt dig. If your like me and get that “deer in the headlights” look when someone starts talking all detector technical, head on over to detecting365.com and check out this great article How does a Metal Detector Work?, by Clark Rickman, who admits to being a long time veteran to the hobby, yet never really understanding how the machine works. I guarantee you’ll come away feeling much more confident, and less technologically challenged. So now, after all these years, you’re telling me the “Wackadoo” mode is wrong? Damn! LOL–Well, it was our favorite Wackadoo that set it that way. 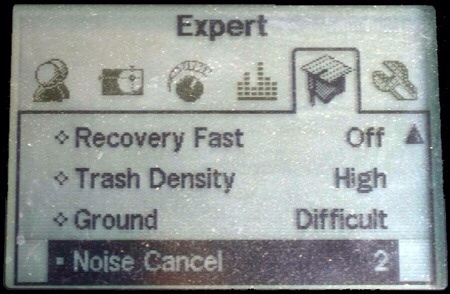 The E-trac is still my favourite machine, but I always thought the Minelab factory settings were the wackadoo modes. You’ve got the Minelab Wackadoo mode, and then you’ve got the mean person who set it for you’s Wackadoo mode. I hear ya though. Yeah, it was a cruel trick for sure. There are all sorts of dubious activities which some detectorists get up to and now I know it’s global phenomenon. Cool article and thanks for the mention, Allyson! I agree with Goldfinger, Minelab default settings are indeed Wackadoo. No problem Rick, it was a great article, and I enjoyed reading it. It’s nice to know I’m not the only one who does/didn’t understand all that mumbo jumbo technical talk. Your article puts it in an easy to understand format without making the reader feel uneducated over what they don’t know or may not have been able to comprehend before . home page e-books on coil change. for switching to a Double-D (Approximately 30% of 90. In sites with moderate levels of magnetic mineralization, Concentric coils will provide a greater depth of detection than similar sized Double-D coils And, in those moderately mineralized sites, Concentric coils will also operate with more stability and provide a more accurate Target ID I’ve developed a ‘rule of thumb’ that you might find useful in deciding whether or not a Double-D coil would be beneficial. if the ground phase number is 28 or larger, I believe you will find that Concentric coils will provide more stable operation than a similarly sized Double-D.